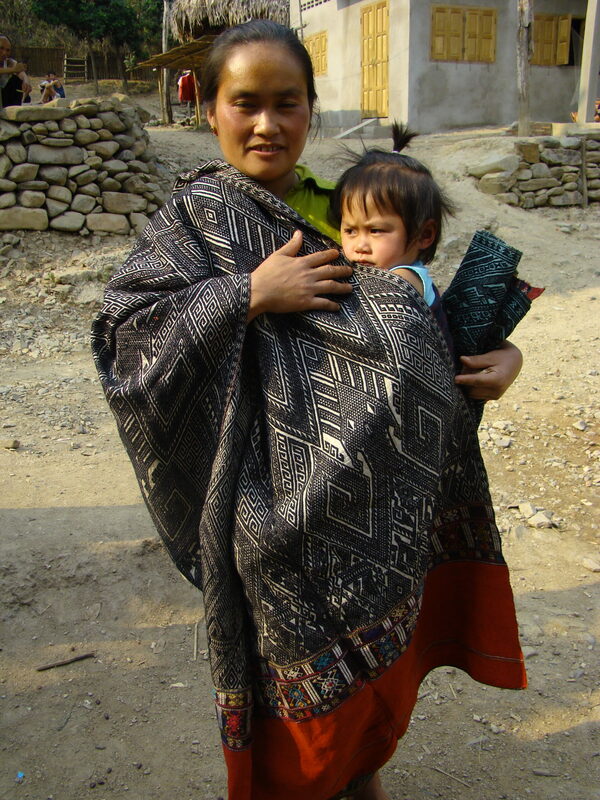 Tai Daeng woman wrapping her baby in a phaa tuum. The central head and curly arms of a phi nyak can be seen. This blanket is indigo-dyed cotton on silk; the zone-dyed red is made from the excretion of the scale bug called lac.